Agro-food systems are involved with considerable environmental impacts. Tomato as an important vegetable crop is processed into some products such as puree, ketchup, and paste. This study aimed to investigate the environmental impacts of tomato puree production considering its entire life cycle, including tomato cultivation, processing, packaging, and transportation, to identify the hotspots and potential improvements for each stage to reduce environmental burdens. The primary data were collected from the processing plant located in Urmia County, Iran, and 28 tomato growers which provide tomato to processing plant using a face-to-face questionnaire. The source for secondary data was the Ecoinvent, LCA Food DK, and IDMAT 2001 databases. The functional unit was considered as 500 g tomato puree packaged in a steel can with a plastic cap. 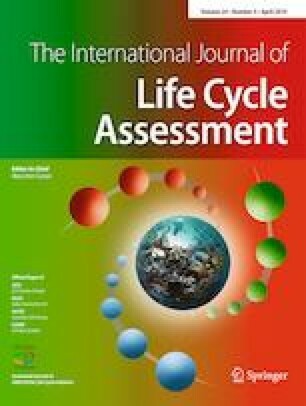 The environmental impacts were investigated using the CML 2 baseline method. Results showed that packaging is the most important contributor to all impact categories except acidification (AC) and eutrophication (EP) in which tomato cultivation was indicated as the hotspot. In the cultivation phase, electricity and N-based fertilizers were indicated as the major contributors to most impact categories. Diesel fuel and natural gas were the hotspots in the processing phase. Based on the results, packaging and cultivation phases have enough potential to reduce environmental impacts during puree production. It can be realized through applying materials that are involved with negligible environmental burdens during their production for packaging and improving irrigation systems for reducing electricity as a major hotspot in cultivation phases. Also, soil analysis would be helpful to determine the amounts and types of required fertilizers. The authors would like to thank the company’s personnel for cooperation and giving the data. The authors would like to thank the Ramin Agriculture and Natural Resource University of Khuzestan for financial support.